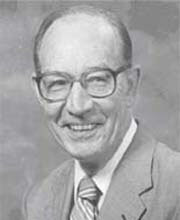 Dr. C. Ellis Nelson (1916-2011). A Presbyterian, his interest in the congregation as an agent of the socialization and moral development of young people both rose from and found expression in his involvement and leadership in local congregations, denominational life, theological higher education, curriculum development, research, and writing. Carl Ellis Nelson was born on March 7, 1916, in Galveston, Texas, the only son in a family with three daughters. His father, who had emigrated from Sweden, was trained as an engineer and worked in Texas oil refineries. Ellis's mother, from a Swedish Lutheran family, grew up north of Austin, Texas, in the small town of Roundrock. She graduated from Southwestern College with a degree in music. Initially, the family were involved in Lutheran churches (Missouri Synod), often in which the elder Nelson served as church treasurer and his wife led the music and the women's auxiliary. Ellis grew up in nearby Beaumont where his father worked for the Magnolia Petroleum Company. There the family moved their church affiliation to Presbyterian by joining Beaumont's Westminster Presbyterian Church. Westminster's pastor, Rev. T. M. Hunter, was a leader in the community and proved to be a strong influence in Ellis's life. Ellis's higher education at first took him to Beaumont's Lamar Junior College (now Lamar University) and Texas A&M College (now University) at which he studied engineering. He was active as a debater and a public speaker. However, while at A&M, Ellis became ill with the flu and the resulting convalescence afforded him opportunity for reflection during which time he reconsidered his vocational direction. The sense of ministerial calling that led to Ellis's transferring to Austin College in Sherman, Texas, from which he graduated in 1937 with an A.B. degree. Ellis Nelson married Nancy Gribble in Austin, Texas, on July 8, 1941. They have three children: Ellis Stark, Joy Elizabeth, and Martha Karin. One thing that is important to understand is that Dr. Nelson's writings - especially regarding matters related to youth and conscience - rise both from his research and his experiences as a ministry professional and as a parent. Ellis received his formal theological education at Austin Presbyterian Theological Seminary (APS) from which he received a B.D. (now M.Div.) in 1940. While a student at APS, he coordinated Austin's University Presbyterian Church's youth and student ministry. At APS he enrolled in a one-hour course in religious education. In that course he learned about religious education theory in the University of Chicago and Yale University and the work and contributions of George Albert Coe, Paul Vieth, the International Council of Religious Education, et al. At that time, many of the courses taken at APS were cross-listed and taught in and through the University of Texas in Austin. Therefore, Ellis also received an M.A. in education from that institution in 1944. He was ordained by the Central Texas Presbytery of the Presbyterian Church, U.S., on May 7, 1940. The ensuing three years proved to be an important and busy time for Ellis. From 1940 through 1943, Ellis served as University Presbyterian Church's Associate Minister and Minister to Students at the University of Texas. He also served as a chaplain at Austin's State School for the Blind and in his service here, Ellis first developed an interest in pastoral care. He also taught in his alma mater, APS as Instructor in Religious Education. In 1943 he was promoted to Assistant Professor in the seminary and also became Instructor in Bible at the University of Texas. Ellis left APS in 1945 to become the Director of Youth Work for the Presbyterian Church, U.S.'s Board of Christian Education in Richmond, Virginia, and served in that position until 1948 when he was called back to APS where he served as Professor until 1957. Upon returning to this faculty position, Ellis determined to study toward a Ph.D. A mentor advised him to study where research and teaching in the field of religious education was "the best." His immediate research interest was religious education's role in and relationship with socialization. He considered applying to the University of Chicago and to Yale University, but settled on the doctoral program of Union Theological Seminary and Columbia University in New York. At Columbia, Nelson studied philosophy of education with Phillip Phenix and history of education with Freeman Butts. Louis Sherrill, May Tully, and Frank Harriett were among his professors at Union. Nelson's doctoral dissertation was titled A Diagnostic Survey of Certain Attitudes and Values Related to the Development of Day Schools in the Presbyterian Church, U.S. He received his Ph.D. from Columbia University in New York in 1955 and continued his teaching at APS and, reflective of his growing interest, led in expanding the religious education curriculum, developing new courses such as one in conscience and moral development. In 1950, he was named Director of Research for the Texas Legislative Council's Study of Higher Education in the State of Texas. Another subject of research for Ellis Nelson that rose early in his career and is of continuing interest is that of socialization. His own experiences as a child growing up in the church, as an adult active in the church, and as a researcher examining the church have resulted in his awareness that the congregation is - for good or ill - a primary means by which a child grows both in understanding what is expected of her/him in socio-cultural roles and in the realization and living out of those roles. It was during this time that Nelson was influenced by the research and writing of French social theorist, Emile Durkheim. Nelson also looked to the teacher and writer of religious education, Hugh Hartshorne (who himself had been a student of George A. Coe and explored the relationship of religious education to moral development and social character). It was Hartshorne whom Nelson has credited with "opening the gates" in the study of moral development although he admits to a certain skepticism regarding the statistical approach that under girds much of the study of moral development (Nelson, 1983). As a result, Nelson has consistently held (descriptively rather than prescriptively) that one's Christian life is lived out in and through the congregation. In a 1980 address (titled "Why Is Christian Education at the Center of the Church's Life? "), given at Richmond, Virginia's Presbyterian School of Christian Education, he stated his assumption that, "the Christian religion is a faith that requires [his emphasis] congregations" (Nelson, 1992). Further, Nelson contends that the congregation should be understood as a learning committee, because all the congregation - as a social context in which roles are learned and lived - does the teaching (and not only for the children and youth, but also for participating adults). Ellis moved from Austin to New York in 1957 when he accepted the position of Skinner and McAlpin Professor of Practical Theology in New York's Union Theological Seminary. He served in that position until 1974 during which time (1969-1970) he also served Union Seminary as its Dean. From New York, Ellis moved to Louisville (Kentucky) Presbyterian Theological Seminary where he served as President and Professor of Christian Education until 1981. He has been a research fellow at both the Mansfield College (1964) where and when he did the basic writing toward his book, Where Faith Begins. He later served as a research fellow at the Christ Church College (1972) of Oxford University, England, where he read on morality. This reasearch gave rise to an essay published in the religious education journal of the Catholic University of America and, later, provided the foundation for Helping Teenagers Grow Morally. Since "retiring" in 1981, Ellis has been a Visiting Professor of Christian Education at San Francisco Theological Seminary (1981-1984), Austin Presbyterian Theological Seminary (1984-1988), the University of Dubuque (1989), Ormond College of the University of Melbourne, Australia (1990), and Union Theological Seminary of Richmond, Virginia (1993). He has been Research Professor at Austin Presbyterian Theological Seminary since 1990. Throughout his career, Ellis has also served as lecturer and curriculum consultant for seminaries and denominations in North America, Europe, and Australia. In this role, Nelson contributed to the development of the "Covenant in Life" curriculum among the, then, southern branch of the United States Presbyterian church. He was also a consultant as northern Presbyterians worked toward replacing their "Faith in Life" curriculum in the 1960's. He has been a member of accreditation visiting teams for the Association of Theological Schools and worked with the same organization from 1992-1993 in a review of accreditation standards. His volunteer service has included tenures as chair of the Presbyterian Church, U.S.'s General Assembly Committee on Education of Lay Workers and Texas Synod Council (both 1955-1957), Task Force to evaluate the Office of review and Evaluation (1974, 1979), and General Assembly Special Committee on Theological Institutions (1983-1986). He has also served on that denomination's Board of Christian Education (1969-1975) and the United Presbyterian Church's Board of Vocation Agency (1979-1981). Ellis has been a member of the Boards of Directors of the Religious Education Association (1960-1970), Austin Presbyterian Theological Seminary (1966-1974), and Austin College (1975-present). He was a member of the Fair-Housing Committee in Tenafly, New Jersey 1968-1972, and was one of the founders of the National Council on Religion and Public Education in New York in 1971. In reflecting on his career and writing, Nelson continues to hold to the importance of the congregation in the religious education and the socialization of the individual. However, where the congregational context was once more highly organizational (from the local through the national levels), missions-oriented, and curriculum-centered, he sees that they now tend to be less organized and more individually directed and inclined toward appealing to the emotion. What rites of confirmation the congregation may have continues in importance, but often includes so much that may relatively extraneous and that comes between the individual and God that there is not, in Nelson's words, "much left for God to do." Further, advances in and availability of technology, along with increased secularity, have obfuscated the immediacy of God. These, then, are challenges to the contemporary congregations in and its efforts in religious education. Addendum: C. Ellis Nelson passed away on June 9 2011 in Austin, Texas, at the age of 95. As an active scholar and writer, he published his last book, Growing Up Christian, at age 92. Upon Dr. Nelson’s request to have his ashes interred at Louisville seminary, he also was memorialized in the Louisville Seminary Memorial Garden, located on the seminary’s campus. Unless otherwise cited, all information in this article is from a resume developed by Dr. C. Ellis Nelson and/or from a conversation with Dr. Nelson in his office at Austin Presbyterian Seminary, July 19, 2001, and in a telephone conversation with Dr. Nelson on November 15, 2001. Nelson, C. E. (1983). Toward accountable selfhood. In M. Mayr (Ed. ), Modern masters of religious education (pp. 160-173). Birmingham, AL: Religious Education Press. Nelson, C. E. (1992). Growth in grace and knowledge: Lectures and speeches on practical theology, 1949-1992 . Austin, TX: Nortex Press. The contributions of C. Ellis Nelson to Christian education must be spoken of in the vocabulary of social science. Most contemporary researchers and teachers of religious education speak and write of him primarily in terms of his interest in socialization and in the development of moral conscience. These flow together in his contributions related to the congregation's role in Christian education - especially how, as the arena for socialization, the congregation effects the moral development of its children and young people. For Nelson, the young person, indeed all people, have their moral sensitivities and perspectives shaped through social relationships. Of course, in religious education this socialization comes through interaction with and participation in the life of the family of faith - the congregation. Though many of his other writings could be and are cited, those most drawn on by those who use Nelson are his Where Faith Begins (1967) and How Faith Matures (1989). Some writers refer to Nelson and his perspectives along with those of the most significant religious educators of the past two centuries. Mark W. Cannister has described Nelson as in the theological middle ground among Horace Bushnell's "influential offspring" (Cannister, 2001, 81). In Functional Images of the Religious Educator, Tim Lines compared Horace Bushnell to Ellis Nelson in that both were concerned with the nurturing aspect of religious education. On the other hand, Lines contrasts the foci of the two. For Lines, where Bushnell payed special attention to the family as the source of nurture, Nelson "addressed instead the entire congregation as parental religious educator" and that Nelson's perspective is "that the local faith community is the primary focus of religious nurture" (Lines, 1992, 96). Casting Nelson in the role of following in the footsteps of George A. Coe, Thomas Groome wrote that Nelson's socialization model of religious education derived not only from the intervening research (i.e., since Coe), but also more from anthropology than sociology than did Coe (Groome, 1980, 118-119). Charles R. Foster credits Nelson with calling attention to the nexus of sociology and anthropology with Christian education (Foster, 1982, 58). In like manner, Donald E. Miller includes Nelson among those religious educators who highlight "the relationship between symbol and social process, individual and community" (Miller, 1987, 185). Perry G. Downs credits Nelson as "the first of the current religious educators to build his theory solidly on a socialization model" and ties this to the roles of observation and imitation in religious education theory (Downs, 1994, 159). Harold W. Burgess, who describes Nelson's Where Faith Begins as "At least a minor classic in the field," includes Nelson among his "mid-century mainline" models of religious education. Burgess highlights Nelson's contributions not only in the theoretical, but in the practical. Burgess notes that the end of Nelson's theories of socialization is to identify how that process "can be made more intentional and thus more effective" (Burgess, 1989, 116-117). He also notes that, for Nelson, the over-arching goal of Christian education is faith in the God revealed in the Bible (Burgess, 1989, 121). However, Burgess also underscores Nelson's concern for the theological implications of his (Nelson's) educational theory (Burgess, 1989, 137). Many especially appreciate Nelson for his perspectives on the congregation and the family of faith. Further describing Nelson's contributions Groome noted importantly that, for Nelson, the "faith community" that so influenced the individual and was such a power for religious education extended beyond the local congregation. Groome also observed, "Nelson clearly realizes the need for critical dialectical activity in the midst of the Church's socializing" (Groome, 1980, 118-119). Maria Harris described the role of the congregation as the community in which a curriculum of religious education is not only located and explicitly taught, but also lived. In doing so, Harris pointed to Nelson, who was "most careful to distinguish printed curriculum from the whole curriculum, which he situates in the life of the congregation, emphasizing that the starting point is the congregation as the primary society of Christians and that life together is the method and the quality of what is communicated" Harris, 1989, 62). However, something about Nelson that should not be lost is his prophetic voice. In this vein, Mary Boys has taken care to emphasize the confluence of two of Nelson's major concerns: socialization and the development of moral conscience. Boys points out that while the congregation is a powerful socio-cultural formative tool, "Nelson stresses that revelation, by disclosing the real meaning of tradition, enables a person to transcend the self and to stand outside the culture" and, so, can become an agent of transforming the culture (Boys, 1989, 129). Lines, in describing Nelson's two books cited above, observed that Nelson's methodology brought the Bible to bear on socio-cultural context by basing his books on critical Bible study (Lines, 1992, 88). Nelson's approach, contributions, and influence on Christian education could be described as his calling education to be an instrument by which people are brought into transforming encounter with God. In Nelson's own words, "Caught as we are in extremely rapid change, we need to give more attention to the way God changes our common life and how we educators can foster such change … The theology of theophanies is a description of how God calls persons to create something different, with the person this called feeling accountable to God for the results. How this discontinuity can be sought and honored as a part of the continuity of our tradition is my present concern" (Nelson, 1983, 172-173). Nelson's influence in religious education toward that concern has been expressed through almost every venue possible: parish minister, consultant, professor, administrator, and author. His focus on socialization and the development of moral conscience challenges congregations to both self-awareness and effectiveness in these roles as well as more faithfulness in reflecting the theological ideals for which they respectively stand. Significant is the confluence of the breadth of Nelson's theory and scholarship with that of his practical concern and experience. The result is a solid philosophy of Christian education that evinces sound theology and philosophy and addresses the most practical concerns of the field. It is for these reasons - and others, perhaps - that Nelson is appreciated, studied, cited, and utilized across the theological, philosophical, and denominational spectra of Christian education. Boys, M. C. (1989). Educating in faith: Maps & visions. San Francisco: Harper & Row. Burgess, H. W. (1989). Models of religious education: Theory and practice in historical and contemporary perspective. Wheaton, IL: Bridgepoint. Cannister, M. W. (2001). Youth ministry's historical context: The education and evangelism of young people. In K. C. Dean, C. Clark, & D. Rahn (Eds. ), Starting right: Thinking theologically about youth ministry (pp. ??). Grand Rapids, MI: Zondervan Publishing House. Downs, P. G. (1994). Teaching for spiritual growth: An introduction to Christian education. Grand Rapids, MI: Zondervan Publishing House. Foster, C. R. (1982). The faith community as a guiding image for Christian education. In J. Seymour, and D. L. Miller (Eds. ), Contemporary Approaches to Christian Education (pp. 53-71). Nashville: Abingdon. Groome, T. (1980). Christian religious education: Sharing our story and vision. San Francisco: Jossey-Bass Publishers. Harris, M. (1989). Fashion me a people: Curriculum in the church, Louisville, KY: Westminster/John Knox Press. Lines, T. A. (1992). Functional images of the religious educator. Birmingham, AL: Religious Education Press. Miller, D. E. (1987). Story and context: An introduction to Christian education. Nashville: Abingdon. Nelson, C. E. (1983). Toward accountable selfhood, In M. Mayr (Ed. ), Modern masters of religious education (pp. 160-173). Birmingham, AL: Religious Education Press. (1992). Growth in grace and knowledge: Lectures and speeches in practical theology. Austin, TX: Nortex Press. (1992). Helping teenagers grow morally: A guide for adults. Louisville: Westminster/John Knox Press. (1990). Christian education: Responsibility for moral decision making. Melbourne, Australia: Victorian Council of Christian Education. (1989). How faith matures. Louisville: Westminster/John Knox Press. (1988).(Ed.) Congregations: Their power to form and transform. Louisville: John Knox Press. (1978). Don't let your conscience be your guide. Mahwah, NJ: Paulist Press. (1975). Using evaluation in theological education. Nashville, Disciples Press. (1973).(Ed.). Conscience: Theological and psychological perspectives. Mahwah, NJ: Paulist Press. (1968). Issues facing Christian educators. Geneva: World Council of Christian Education. (1967). Where faith begins. Louisville: John Knox Press. (1966). What's right. Louisville: John Knox Press. (1963). Love and the law. Louisville: John Knox Press. (1961). Growth in grace and knowledge. Published privately for use by students at Union Theological Seminary and Teachers College, Columbia University. (2000). Congregational reorientation. In M. Warren (Ed. ), Changing cultures (pp. 67-88). Portland, OR: Pastoral Press. (1991). Congregations' educational strategy. In C. S. Dudley, J. W.Carroll, and J. P. Wind (Eds. ), Carriers of faith (pp. 156-170). Louisville: Westminster/John Knox Press. (1990). Congregational Life. In I. V. Cully and K. B. Cully (Eds. ), Harper's encyclopedia of religious education (p. 154). San Francisco: Harper & Row. (1990). Conscience, In I. V. Cully and K. B. Cully (Eds. ), Harper's encyclopedia of religious education (p. 156). San Francisco: Harper & Row. (1988). Religious education? Yes, indeed: A Presbyterian perspective. In M. Mayr (Ed. ), Does the church really want religious education? (pp. 102-123). Birmingham: Religious Education Press. (1988). Some educational aspects of conflict. In N. G. Slater (Ed. ), Tensions between citizenship and discipleship: A case study (pp. 195-219). Boston: Beacon Press. (1986). Research in faith development. In C. Dystra and S. Parks (Eds. ), Faith development and Fowler (pp. 180-201). Birmingham: Religious Education Press. (1979). Our oldest problem. In Padraic O'Hare (Ed. ), Tradition and transformation in religious education (pp. 58-72). Birmingham: Religious Education Press. (1977). Trends in society and culture related to the catechesis of youth. In B. L. Marthaler and M. Sawicki (Eds. ), Catechesis: Realities and Visions (pp. 27-35). A symposium on the Catechesis of Children and Youth sponsored by the Department of Education of the United States Catholic Conference (USCC), Washington, D.C.: United States Catholic Conference. (1976). Conscience, values, and religious education. In M. J. Taylor (Ed. ), Foundations for Christian education in an era of change (pp. 68-79). Nashville: Abingdon. (1970). Religious instruction in the Protestant Churches. In J. M. Lee and P. C. Rooney (Eds. ), Toward a future for religious education (pp. 154-182). Dayton: Pflaum Press. (1966). The curriculum of Christian education. In M. J. Taylor (Ed. ), An introduction to Christian education (pp. 157-168). Nashville: Abingdon Press. (1966). Editor of four Monographs in Christian education. New York: Association Press. (1962). Criteria for judging the quality of Christian education for adults. In L. C. Little (Ed. ), Wider horizons in Christian adult education (pp. 257-278). Pittsburgh: University of Pittsburgh Press. (1960). Group dynamics and religious education. In M. J. Taylor (Ed. ), Religious education (pp. 173-183). New York: Abingdon Press. (1959). Toward better methods of communicating the Christian faith. In L. C. Little (Ed. ), Christian adult education (pp. 202-219). Pittsburgh: University of Pittsburgh Press. (1970). Is church education something particular? Lecture to the joint meeting of the Boards of Christian Education, United Presbyterian Church and Presbyterian Church, U.S. Published in Religious Education, 67, 5-16. (1999). [Review of the book Being there: Culture and formation in two theological schools]. Insights, 114 (2), 39-40. (1999). Interim insights. Interim Ministry Network, 3 (2), 6-15. (1999). The next stage of training pastors. Tile Presbyterian Outlook, 181 (30), 6-7. (1998). The subjective side of socialization. Panorama: International Journal of Comparative Religious Education and Values, 10 (2), 36-51. (1998). From school to congregational leadership. Ill Trust, 9 (2), 4-5. (1997). Evaluation of redeveloped standards in the context of theological education 1956-1996. A paper prepared for the staff of the Association of Theological Schools. (1996). Formation of a God representation. Religious Education, 91 (1), 22-39. (1995). Catechism of the Catholic Church. Insights, 111 (1), 44-45. (1995). The marketplace won. Campus Christian Newsletter, 1 (2), 1-5. (1994). Christian education in a secular society. The Presbyterian Outlook, 176 (16), 6-9. (1994). What we should not forget. Professional Approaches for Christian Educators, 24, 23-26. (1993). [Review of the book A fundamental practical theology] Interpretation, 47 (3), 307-308. (1993). Socialization revisited. Union Seminary Quarterly Review, 47, 3-4. (1993). A response to Brian Tippen. Religious Education, 88, 637-638. (1992). [Review of the book Caring for the commonweal: Education for religion and public life]. Interpretation, 46 (2), 218. (1990). Congregational life, Conscience, Lewis Sherrill. In I.V. Cully and K. B. Cully (Eds.). Harper's Encyclopedia of Religious Education (pp. 154-156, 156-157, 585). San Francisco: Harper & Row, 1990. (1984). Educating ministers for the new Presbyterian Church. The Princeton Seminary Bulletin, 5 (2), 122-129. (1984). Toward the year 2003. Religious Education, 79, 101-107. (1984, Winter). From the third to the fourth generation. Pacific Theological Review, 13-15. (1984). Has the Sunday School movement played out? Austin Seminary Bulletin, 99, 37-44. (1983, Fall). Forgiveness: Homily on Mathew 18:21-35. Pacific Theological Review, 14-16. (1982). Does faith develop? An evaluation of Fowler's position. The Living Light, 19 (2), 162-174. (1980, August). "…Make disciples…" ACPE Advocate. (1977). Where have we been? What does it mean? Life at Lousiville, 8, 4. (1977). The habitat of the Spirit. The Princeton Seminary Bulletin, NS1 (3), 112-116. (1976). Curriculum as theological fallout. Alert, 5, 4. (1973). What kind of moral life does your congregation have". Colloquy, 4, (3), 28-33. (1973). What has religion to do with morality? The Living Light 10 (3), 327-340. (1972). A Protestant response to the Directorium Catechisticum. The Living Light, 9 (3), 85-94. (1971). Reflections, U.S.A. Colloquy, 4, (1), 13. (1971). Athens and Jerusalem revisited. Spectrum-International Journal of Religious Education, 47 (1), 21-31. (1971). Are there ten righteous people? Colloquy, 4 (3), 28-33. (1971, November). Wanted: New shell for old kernel. Face to Face. (1970, Spring). Once gentle nudged from his tower. The Tower. (1969). Can Protestants make it with the "Now" generation? Religious Education, 64, 376-383. (1969). The premature arrival of the future. Dimensions in Christian Education 19 (1), 15-18. (1968). What is happening to Christian education? Colloquy, 1 (8), 22-24. (1968). The relation of seminary training to congregational education. Religious Education, 63, 301-308. (1968). Innovations for the education missions of the church. Dimensions in Christian Education, 17 (6), 10-17. (1967). Dare you think about 1980-1990. The Church School, 20 (9), 6-8. (1967). Religious education in an era of radical pluralism. Religion in Life, 36 (1), 128-138. (1967). Church education and the teaching of religion in the public domain. International Journal of Religious Education, 43, 4-5. (1967). Church education and the teaching of religion in the public domain. Theological education, 3, 384-396. (1967). Christian moral education. In J. Macguarrie (Ed.). Dictionary of Christian Ethics (pp. ??). Philadelphia: Westminster Press. (1964). The Divine constraint of Christian education for adults. The Christian Educator, 7 (2), 5-7. (1964). Not apart from life. International Journal of Religious Education, 41, 8-9. (1963). Machine-taught religion. The Christian Century, 80, 12-14. (1963). Adult education. In K. B. Cully (Ed. ), The Westminster dictionary of Christian education (pp. 8-10). Philadelphia: Westminster Press. (1962). Church in community. The Presbyterian Outlook, 9, 7. (1962). The changing curriculum in America. The Presbyterian Survey, 52 (9), 14-16. (1962). Criteria for judging the quality of Christian education for adults. Wider Horizons in Christian Education (p. 10). Pittsburgh: U of Pittsburgh Press. (1961). The Christian cducation of conscience. The Princeton Seminary Bulletin, 55 (1) 37-47. (1960). Choosing a God. Pulpit, 31 (9). (1958). Existential Christian education. Union Seminary Quarterly Review, 13, 19-27. (1958). Adult classes get out of their ruts. The International Journal of Religious Education, 35 (2), 8-10. (1957, July). The relation between theology and education in Christian education. The Austin Seminary Bulletin. 5-20. (1957, July). [Review of the book The nature of prejudice]. The Austin Seminary Bulletin. 22-25. (1957). The Divine constraint of Christian education for adults. Union Seminary Quarterly Review, 13, 41-46. (1956, April). 4,720 man-years for the Lord. The Presbyterian Survey. (1956, January). [Review of the book Anxiety in Christian experience]. The Presbyterian Survey. (1956, June). [Review of the book The gift of the power]. The Austin Seminary Bulletin. 29-30. (1956, October). [Review of the book Holiness is wholeness and individuation]. The Austin Seminary Bulletin. 25-27. (1955, April). Religious negativism as a contributing agent in functional disease v. the clergyman's viewpoint. Texas State Journal of Medicine. (1951). What Christians owe to the world. The Presbyterian Outlook. 12. (1951). The purpose of the teaching program of the church. The Presbyterian Survey. 7-9. (1947, July). Guiding youth in evangelism. The Earnest Worker. Cromer, B. (1995). Helping teenagers grow morally: A guide for adults. [Review of the book Helping teenagers grow morally: A guide for adults]. Review & Expositor, 92, 263. Wray, D. (1994). Helping teenagers grow morally: A guide for adults. [Review of the book Helping teenagers grow morally: A guide for adults]. Restoration Quarterly, 36, 127-128. Robbins, J. (1993). Helping teenagers grow morally. [Review of the book Helping teenagers grow morally: A guide for adults]. Christian Ministry, 24, 29. Wigger, B. (1992). Helping teenagers grow morally. [Review of the book Helping teenagers grow morally: A guide for adults]. Princeton Seminary Bulletin, 14, 107-109. Allen, J. T. (1992). How faith matures. [Review of the book How faith matures]. Perspectives in Religious Studies, 19, 109-113. Knudson, James C. (1991). How faith matures. [Review of the book How faith matures]. Anglican Theological Review, 73, 357-361. Scott, K. (1991). How faith matures. [Review of the book How faith matures]. Horizons, 18, 328-330. Osmer, R. R. (1992). How faith matures. [Review of the book How faith matures]. Theology Today, 47, 476-478. Naden, R. (1990). How faith matures. [Review of the book How faith matures]. Andrews University Seminary Studies, 28, 267-268. King, M. A. (1990). How faith matures. [Review of the book How faith matures]. Christian Ministry, 21, 32-34. Warner, S. (1990). How faith matures. [Review of the book How faith matures]. Lexington Theological Quarterly, 25, 95-96. Fiet, T. (1989). How faith matures. [Review of the book How faith matures]. Reformed Review, 44, 160-161. Wyckoff, D. C. (1989). Congregations: Their power to form and transform. [Review of the book Congregations: Their power to form and transform]. Princeton Seminary Bulletin, 10, 291-292. Conn, W. E. (1979). Don't let your conscience be your guide. [Review of the book Don't let your conscience be your guide]. Horizons, 6, 313-314. Grannell, A. (1979). Don't let your conscience be your guide. [Review of the book Don't let your conscience be your guide]. Religious Education, 74, 216-218. Murray, J. B. (1974). Conscience: Theological and psychological perspectives. [Review of the book Conscience: Theological and psychological perspectives ]. Journal of Pastoral Care, 28, 209-210. Reese, G. (1979). Conscience. [Review of the book Conscience: Theological and psychological perspectives]. Lutheran Quarterly, 26, 361-362. Hunt, R. A. (1979). Conscience. [Review of the book Conscience: Theological and psychological perspectives ]. Review of Religious Research, 15, 107. Lapsley, J. N. (1974). Conscience. [Review of the book Conscience: Theological and psychological perspectives ]. Union Seminary Quarterly, 29, 279-281. Graves, A. W. (1970). Where faith begins. [Review of the book Where faith begins]. Review and Expositor, 67, 252. Furgeson. (1969). Where faith begins. [Review of the book Where faith begins]. Journal of Pastoral Care, 23, 252. (1989). How faith matures. Louisville: John Knox Press. (1992). Growth in grace and knowledge. Austin: Nortex Press. (1992). Growth in grace and knowledge. Austin : Nortex Press. This is an anthology of selected lectures. They span his career and are arranged in chronological order, beginning with 1949 inaugural address as professor of Christian education and ending with his response to the Association of Presbyterian Christian Educators when that group named him "Educator of the Year" in 1992. This compilation provides insight for his contributions across his career and to the various constituencies he addressed. The book includes an extensive list of Nelson's writings. Written for adult laity, this book is a practical explanation and application of principles Nelson derives from his own work in congregations and the social and moral development of youth. Developed and expanded from Nelson's 1983 Caldwell Lectures at Louisville Presbyterian Theological Seminary, this book addresses the role of religious experience in nurturing growth in the individual. In it, Nelson explores the nurture toward Christian growth that can be found in the beneficent tension between the Christian faith as revealed in the Bible and that to be found in living the Christian life - especially within the context of the congregation. Based on Nelson's 1965 James Sprunt Lectures at Union Theological Seminary in Virginia, this may be considered his most representative work. He addresses the nature of culture and how it forms the person as well as the nature of faith and the congregation's role in communicating faith to the individual. (1963). Love and the law: Modern applications of the Ten Commandments for present-day living. Louisville: John Knox Press. Writing to young people, Nelson uses a very practical approach to reasoned obedience to God's commands. He stresses the relationship of love between the individual and Jesus and the grace Jesus brings to it. At the time of writing, Nelson was looking twenty years ahead in anticipation of the centennial of the Religious Education Association and, so, religious education as a discipline. He notes how religious education has evolved as distinct from related disciplines such as moral education, social sciences, etc. He also looks toward the future of the field noting concern that the training of religious educators deal more with the practical while paying heed to the powerful resources of the local congregation. Developed from a paper presented to Graduate Professor of Christian Education, February12, 1968, in Dallas, Texas, this article outlines Nelson's approach to and perspectives on the congregation as an agent of socialization and moral and faith development. He further deals with the importance of bringing Christian ethics into juxtaposition with daily life and contemporary issues - while using emerging technologies and educational strategies. Nelson calls for an emphasis on teacher training and a renewed practical emphasis in theological higher education. (1967). Religious education in an era of radical pluralism. Religion in Life, 36 (1), 128-139. In this article, Nelson offers reflections in the wake of various events such as World War II, Vatican II, and various U.S. Supreme Courts cases denying government-sponsored Bible reading and prayer in public schools. He notes the growing religious pluralism that has resulted and offers means by which religious education can respond both within faith groups and among them. (1963, January 2). Machine-taught religion. The Christian Century, 80, 12-14. This is an excellent example of how a religious educator can critically evaluate a trend in the general field of education. Noting instances of various issues influencing contemporary religious education in particular decades, Nelson assesses the use of programmed instruction. He differentiates between programmed instruction and catechetical method. Nelson affirms the importance of relationship in religious education, which programmed instruction does not offer. However, he also finds value in the use of programmed instruction for use in teaching that which more objective areas such as the language of Christianity. Ronnie Prevost, Ph.D., serves as Professor of Church Ministry at Logsdon School of Theology, Hardin-Simmons University, in Abilene, Texas.